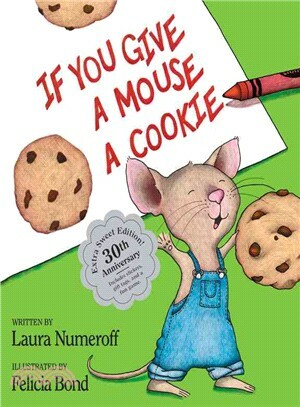 If You Give a Mouse a Cookie just got even sweeter! This special edition of the classic #1 New York Times bestselling picture book has a foiled jacket and contains stickers, gift tags, and a fun game. If a hungry little traveler shows up at your house, you might want to give him a cookie. If you give him a cookie, he’s going to ask for a glass of milk. He’ll want to look in a mirror to make sure he doesn’t have a milk mustache, and then he’ll ask for a pair of scissors to give himself a trim…. 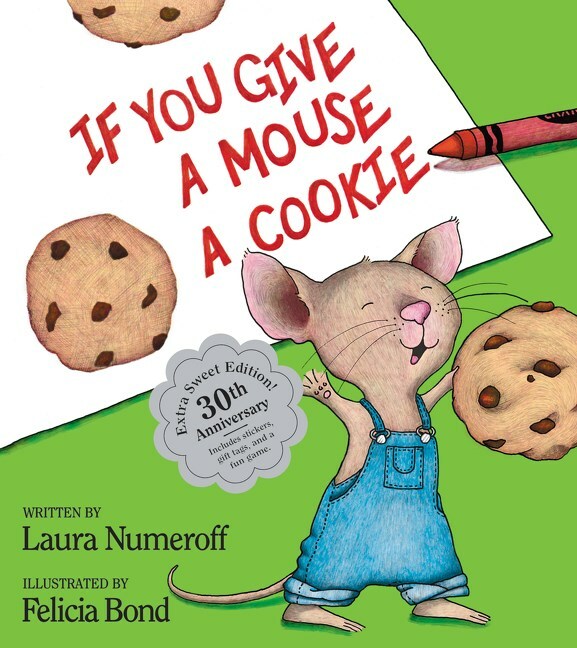 Laura Numeroff is the New York Times bestselling author of many books for young readers in addition to the If You Give . . . series, including The Chicken Sisters and Laura Numeroff’s 10-Step Guide to Living with Your Monster. She lives in Los Angeles, California, and is involved with several children’s charities, including First Book. You can visit her online at www.lauranumeroff.com. Felicia Bond is the illustrator of numerous books for children. In addition to the New York Times bestselling If You Give . . . series, she has also illustrated Big Red Barn by Margaret Wise Brown and Little Porcupine’s Christmas by Joseph Slate. She is the author and illustrator of the Poinsettia books, The Day It Rained Hearts, The Halloween Play, and Tumble Bumble. An avid animal lover, reader, and cook, she lives in Santa Fe.